Any of you who follow my Instagram know that I just went on a two week long vacation to Europe with my boyfriend and family. While over there, I knew it was going to be hot and humid, and the only way to combat that is with breezy summer dresses. 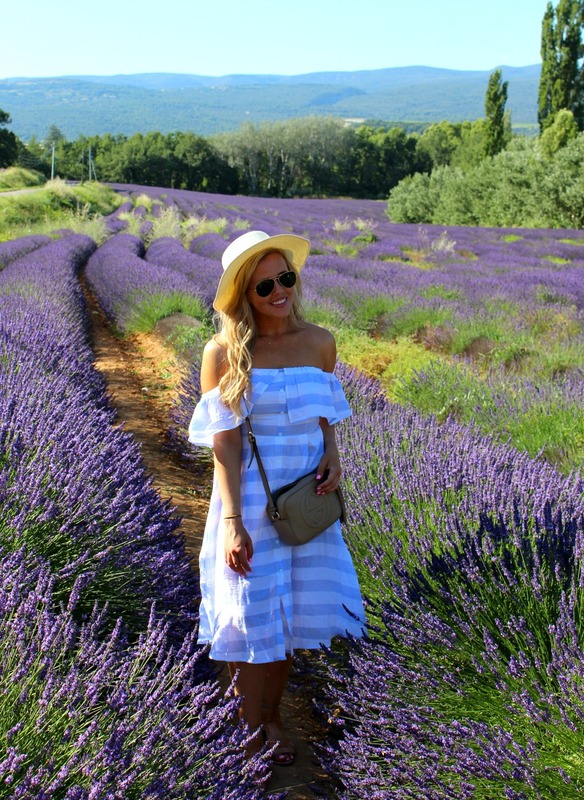 I found this striped dress on the lulus website and it quickly became my favorite piece of the trip. It was light, airy and really stood out in a crowd with its nautical striped pattern. 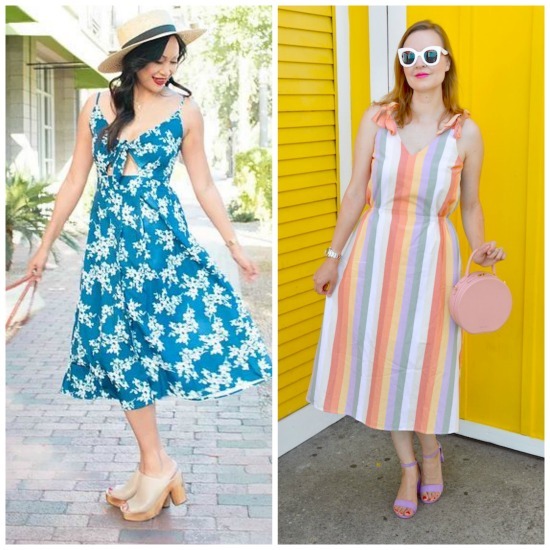 What are your favorite dresses of the summer? Link them up below. While I love to wear high heels and boots all the time, my favorite summer staple has to be a good summer sandal. They are a comfortable alternative I can wear to work, while still remaining fashionable. I am excited to show you some of my favorites next week! Bloggers : All bloggers will be able to submit their post links via the inlinkz widget below every Tuesday at 12:00am CST with their take on our trend of the week. This will allow bloggers to show off their personal style, find new followers and meet some great fashionistas! You will also have the chance to be featured on our blogs the following Tuesday (if you make sure to link back to Laura and my blog) ! So grab the button and link up. 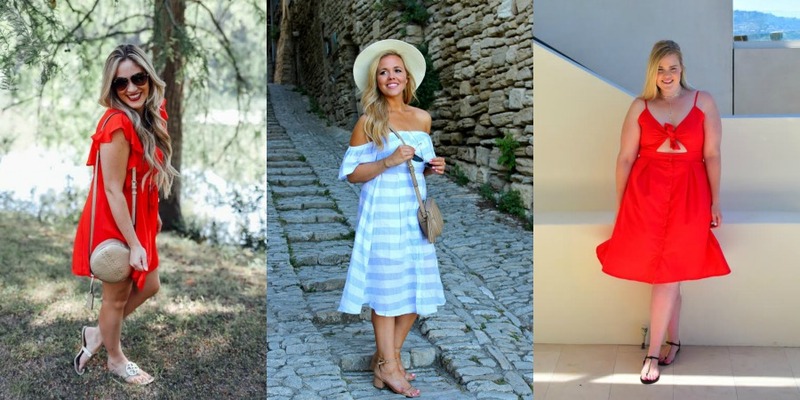 = ) For all bloggers we simply ask that you please follow your hosts – Walking in Memphis in High Heels, The Fashion Canvas and our guest host Dressed For Time and provide a link to the Trend Spin Link-up in your post or add the button below to your blog. Don’t forget to stop by everyone’s blogs to see how they wore the trend today. Leave a comment on my blog, and also on at least 5 other blogs! 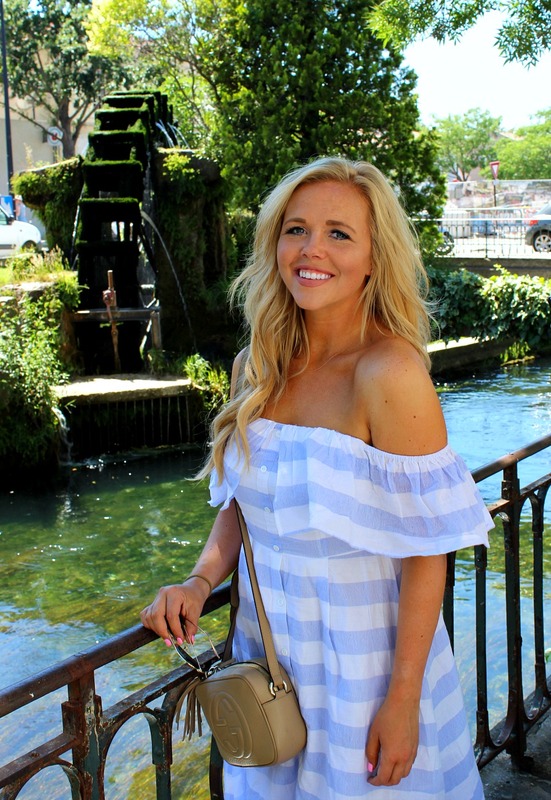 Tie Tops & Dresses from last week’s linkup! Shop White Bikinis Bottom, Orange Dresses, Leather Watches, Grey Pumps Shoes and more. Get this widget.